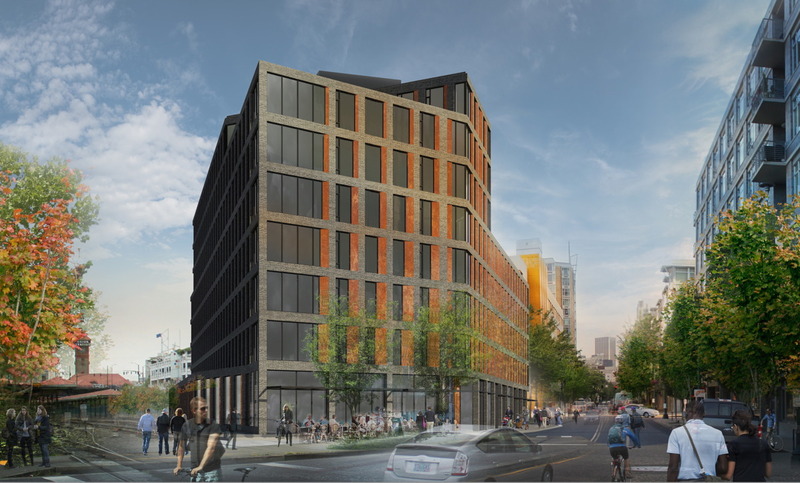 The Design Commission has approved Station Place Lot 5, a new office building by Hacker architects, GBD Architects and 2.ink Studio. The project is being developed by Williams and Dame, and will offer 167,000 sq ft of office space, along with retail at the ground floor. The 8 story building will reach a maximum height of 122′. Structured parking for 55 vehicles will be provided, with an additional 97 parking spaces at the nearby Station Place car park leased for the use of building tenants. At the ground level a bike valet service operated by Go by Bike will provide parking for 133 bikes, along with a coffee counter and a bike repair service. Showers and 86 storage lockers will also be provided. 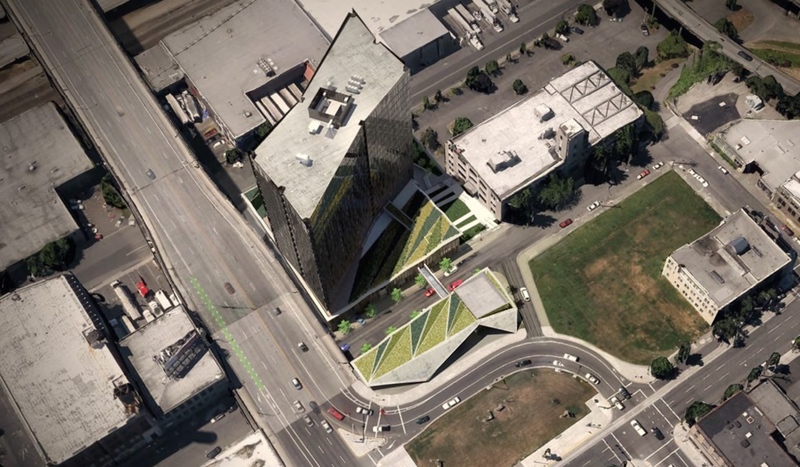 Skylab Architecture have presented a proposal to the Design Commission for a skywalk which would link the Yard tower at the Burnside Bridgehead to the proposed Sideyard building. The under construction Yard tower by Key Development and Guardian Real Estate Services will include 276 residential apartment units and 19,709 sq ft of retail/office space. Sideyard by Key Development is currently going through Design Review, and is planned to include 21,151 sq ft of retail and office space. Design Advice Request for two new proposed residential towers. 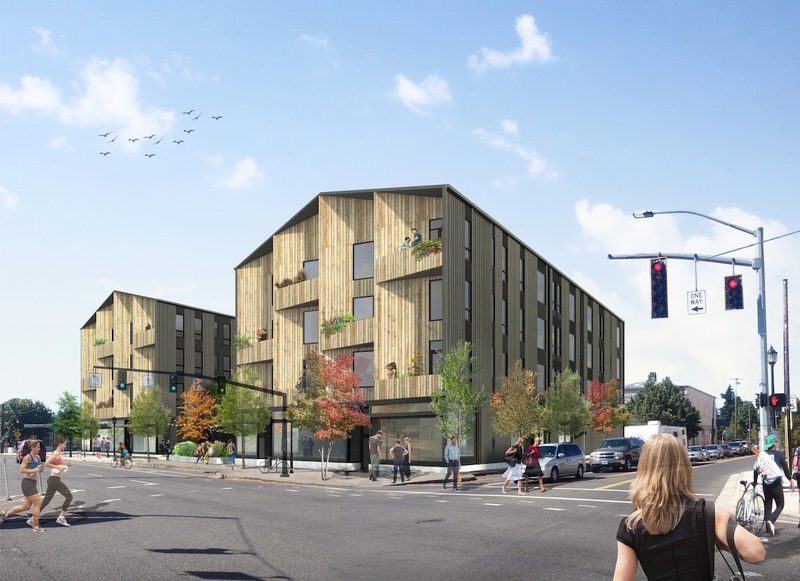 The project will include 162 market-rate and 204 affordable apartment units. The ground level will include retail space and a grocery store. 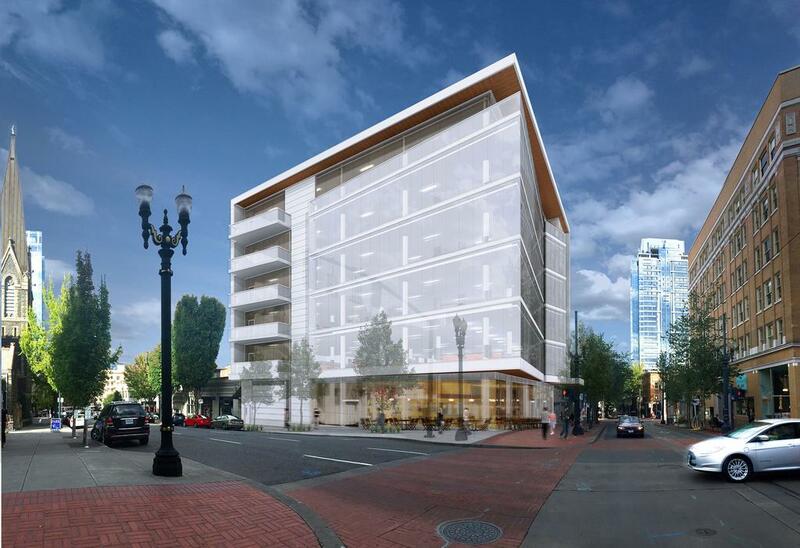 The residential units will share 173 below-grade parking spaces and a 65-space ground-level parking area will serve the grocery store. Industrial site office development. Basement includes approx 82 parking spaces – accessed via Clay. 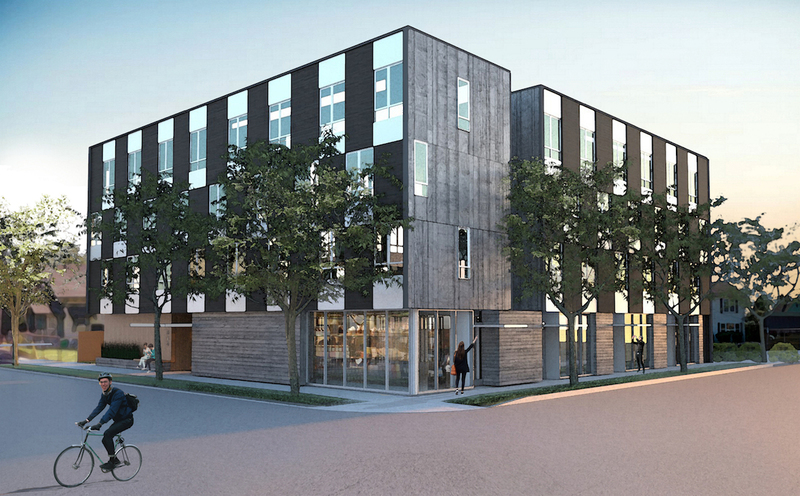 4-story mixed use development with ground floor commercial and 3 floors of apartments. Alterations-exterior alteration improvements w/storefront and accessible entrances. ASCE 41 structural seismic upgrade. Addition of exterior courtyard and roof deck interior improvements. Interior improvements include water closets, lavs and bike storage, enclose trash and utility room. partial – shoring; excavation; underground utilities and concrete structure from mat slab up to and including the 2nd floor concrete podium.